Up to 500 people are expected to attend a special All Souls Mass online. A further 250 people are likely to attend the Light Up a Memory Mass in person at the Sacred Heart Church in Cork later this month. The Mass is organised by the Missionaries of the Sacred Heart. This is the fifth annual Light Up a Memory Mass, and the second time it has been streamed line online. Last year approximately 400 people attended the live stream. Organisers told catholicireland.net that, following the launch of the new website www.mscmissions.ie last year, the live streaming service on that website allowed people to join in with both the Light Up a Memory Mass and Masses and celebrations every day. The streaming gives those who might not be able to leave the house easily, or who are living abroad, the opportunity to take part in Mass at home. Each November the Missionaries of the Sacred Heart (MSC) invite mission friends to send the names of their dearly departed for remembrance, and the list is kept on the altar throughout the month as they pray for eternal peace. 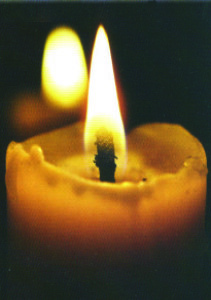 The annual Light Up a Memory Mass marks the end of this month of remembrance, and offers an opportunity to pay tribute to the memories of those participants hold dear. This year’s Mass will be celebrated on Saturday, November 24th, 2018 at the Sacred Heart Church on the Western Road, Cork. Musical accompaniment will be led by Gerry and Deirdre Tuohy, and Fr Michael O’Connell MSC, director of the MSC Missions Office, will be the main celebrant of the Mass, with the sermon by parish priest Fr Tom Mulcahy MSC. A variety of people attend the Mass, ranging from young families to the elderly. Some people travel a distance to attend this special Mass. This year the missionaries are looking forward to welcoming visitors from Dublin. “Bereavement touches us all and the service is a lovely way for families to remember together. We do see familiar faces of regular Mass-goers in the Sacred Heart Church on the night, but we also have many visitors who come specially to celebrate the service with us,” a spokesperson told CatholicIreland.net. All are welcome to attend Mass in the Sacred Heart Church on the night. Candles will be provided for everyone. Alternatively, the service can be viewed live online at www.mscmissions.ie.